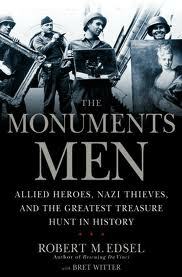 I blogged about Monuments Men here when I first heard that George Clooney was going to make the adaptation of the nonfiction book, The Monuments Men: Allied Heroes, Nazi Thieves and the Greatest Treasure Hunt in History, by Robert M Edsel. If the title isn't clear enough :) the book is about recovering art stolen by the Nazis in World War II. Scroll down to read the full description from the publisher. 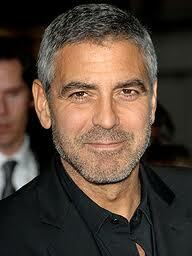 Clooney and producing partner Grant Heslov co-wrote the screenplay; both will produce, with Clooney directing and starring. It's not always all about George - he and Grant are fresh from the success of Argo which they just wore their producer hats for. In fact, most of the Argo crew will be working on this one, including the genius Alexander Desplat,who is doing the score. Hunk #1 Clooney himself plays George Stout, a U.S. Army officer and leading art conservationist, who repatriated thousands of works of art from the Nazis. 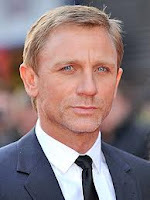 Hunk #2 The most brilliant casting choice: Daniel Craig. I don't even know what part he'll be playing - the news releases don't say - but whether he's an Allied Hero or a Nazi Thief you know he'll bring it. I'm betting on Nazi thief because George has the good hero role and Jean Dujardin will be some sort of operative in the French Resistance; somebody has to be the Nazi Thieves! Hunk #3 Jean Dujardin, last year's Best Actor Oscar winner for The Artist—incidentally I read that he's the very first French actor to win one—will play an unnamed supporting role. Cate Blanchett will play the role of Rose Valland, an art historian, and member of the French resistance. Bill Murray and John Goodman have also been confirmed. Still listed on imdb.com as "rumored" is Paul Giamatti - not sure if he's in or out. The film is shooting in Germany, Austria, Paris, and England next spring. At the same time, Adolf Hitler was attempting to take over the western world, his armies were methodically seeking and hoarding the finest art treasures in Europe. The Fuehrer had begun cataloging the art he planned to collect as well as the art he would destroy: "degenerate" works he despised. The book focuses on the 11-month period between D-Day and V-E Day. Looks like some real eye candy. But I just realized I should somehow partner my book with this book -- after all, Nazis and missing art play a role in my book too. I thought of you right away!